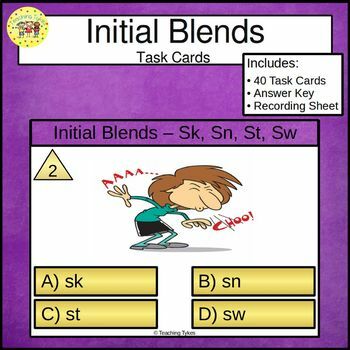 40 Initial Blends Task cards for blends Sk, Sn, St, and Sw.
Each card has a picture and initial blend choices. 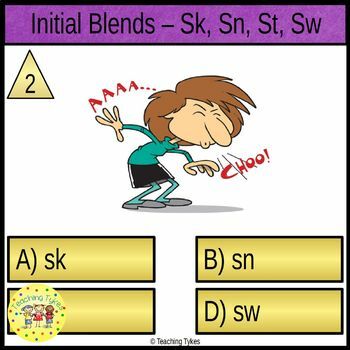 Students write the correct answer choice on the recording sheet. Your students can track their own performance with the answer key - YES!! 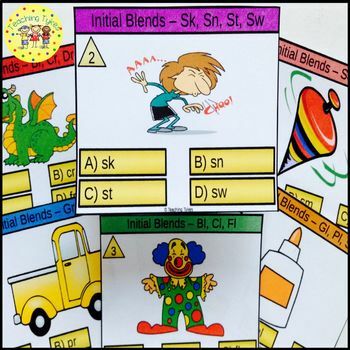 Initial Blends Task Cards are a terrific Hands-On Activity your kiddos will love! 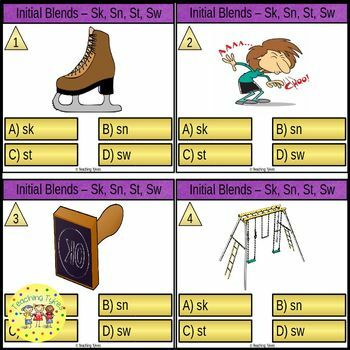 ★ Check out my other ELA/Phonics Resources! If you have a comment or question, please contact me through Q/A. If you and your kiddos enjoy this item, please leave feedback letting me know!